A used Volkswagen Jetta is an excellent choice for St. Louis area drivers who want an affordable way to drive home technology features like Apple CarPlay and Android Auto, and safety features including rear-view camera and blind spot monitoring. Car and Driver says the Jetta offers a “spacious and classy cabin” with “plenty of features for the money” and we couldn’t agree more. 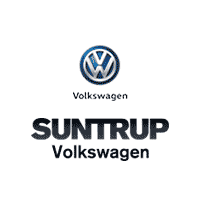 Why Buy a Used Jetta from Suntrup Volkswagen? Our People First Warranty is transferrable, so many of our previously owned vehicles are covered by our 6 year/72,000 mile warranty. We also offer an array of additional warranties you can add for full peace of mind while you’re behind the wheel. Contact us today to schedule a test drive or learn more about the vehicles in our inventory.